The first Olkiluoto Blockade took place in summer 2010 and was the first publicly announced blockade of a nuclear power plant in Finland. A network of anti-nuclear organizers and activists from Finland and several other countries had developed the idea in the 2010 Nuclear Heritage Network Gathering in Helsinki and initiated it during the following months. The Olkiluoto Blockade was launched to the public during a bigger anti-nuclear rally on 8th of May, 2010 in Helsinki. 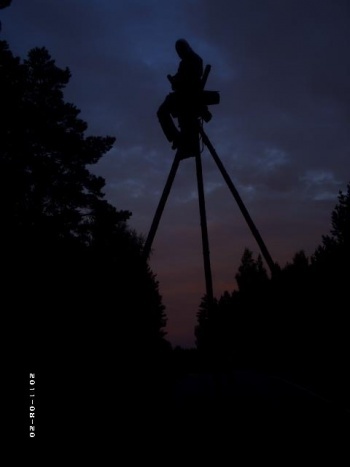 The 2010 Baltic Sea Info Tour was utilized to promote the action in about 10 countries around the Baltic Sea. This page was last modified on 3 February 2018, at 10:48. This page has been accessed 11,496 times.